'There is sunshine in my soul today' sounds like an beautiful exclamation of spring! 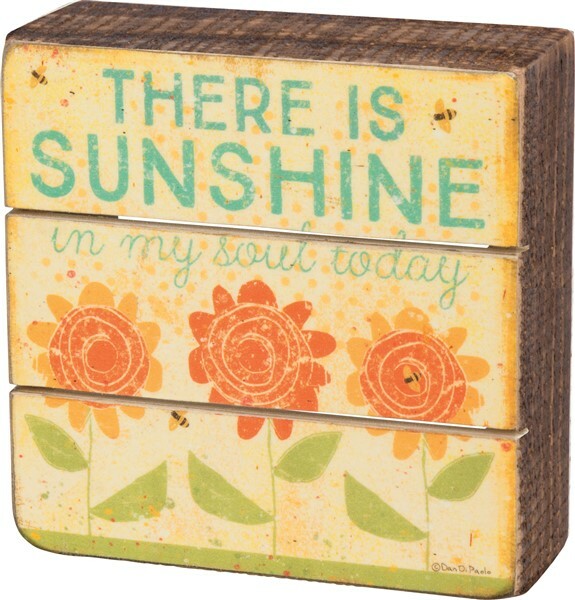 This slat box sign features flowers and this awesome saying can be hung all spring long to remind us of the joy. It is made of wood and paper and is approx 4.5" square. Hang it or set it on a shelf.